We report on novel supervised algorithms for single-trial brain state decoding. Their reliability and robustness are essential to efficiently perform neurotechnological applications in closed-loop. When brain activity is assessed by multichannel recordings, spatial filters computed by the source power comodulation (SPoC) algorithm allow identifying oscillatory subspaces. They regress to a known continuous trial-wise variable reflecting, e.g. stimulus characteristics, cognitive processing or behavior. In small dataset scenarios, this supervised method tends to overfit to its training data as the involved recordings via electroencephalogram (EEG), magnetoencephalogram or local field potentials generally provide a low signal-to-noise ratio. To improve upon this, we propose and characterize three types of regularization techniques for SPoC: approaches using Tikhonov regularization (which requires model selection via cross-validation), combinations of Tikhonov regularization and covariance matrix normalization as well as strategies exploiting analytical covariance matrix shrinkage. All proposed techniques were evaluated both in a novel simulation framework and on real-world data. Based on the simulation findings, we saw our expectations fulfilled, that SPoC regularization generally reveals the largest benefit for small training sets and under severe label noise conditions. Relevant for practitioners, we derived operating ranges of regularization hyperparameters for cross-validation based approaches and offer open source code. Evaluating all methods additionally on real-world data, we observed an improved regression performance mainly for datasets from subjects with initially poor performance. With this proof-of-concept paper, we provided a generalizable regularization framework for SPoC which may serve as a starting point for implementing advanced techniques in the future. This work was fully supported by BrainLinks-BrainTools Cluster of Excellence funded by the German Research Foundation (DFG), grant number EXC1086. For the data analysis, the authors acknowledge support by the state of Baden-Württemberg through bwHPC and the German Research Foundation (DFG) by grant no. INST 39/963-1 FUGG. Fabien Lotte received research support from the French National Research Agency with the REBEL project (grant ANR-15-CE23-0013-01) and the European Research Council with the BrainConquest project (grant ERC-2016-STG-714567). For parts of the data analysis, the Matlab-based BBCI toolbox was utilized (Blankertz et al. 2016). The authors declare that they have no conflict of interest. Castaño-Candamil, S., Meinel, A., Tangermann, M. (2017). 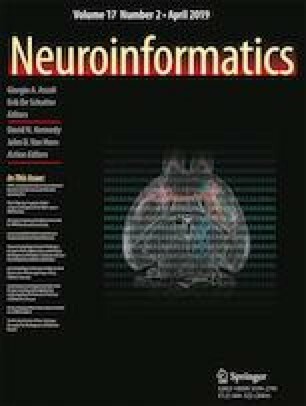 Post-hoc labeling of arbitrary EEG recordings for data-efficient evaluation of neural decoding methods. arXiv:171108208. Lotte, F., & Guan, C. (2010). Learning from other subjects helps reducing brain-computer interface calibration time. In 2010 IEEE International conference on acoustics, speech and signal processing (pp. 614–617). https://doi.org/10.1109/ICASSP.2010.5495183. Meinel, A., Lotte, F., Tangermann, M. (2017). Tikhonov regularization enhances EEG-based spatial filtering for single-trial regression. In Proceedings of the 7th Graz brain-computer interface conference 2017 (pp. 308-313). https://doi.org/10.3217/978-3-85125-533-1-57. Nicolae, I.E., Acqualagna, L., Blankertz, B. (2017). Assessing the depth of cognitive processing as the basis for potential user-state adaptation. Frontiers in Neuroscience, 11. https://doi.org/10.3389/fnins.2017.00548.